Les Bleus would surely have slipped to defeat were it not for a string of sensational saves from debutant Alphonse Areola, the Paris Saint-Germain goalkeeper denying Thomas Müller, Mats Hummels and Matthias Ginter. Ukraine recovered from Patrik Schick's early opener, Yehven Konoplyanka levelling after a lovely move in first-half added time. In the dying seconds, Oleksandr Zinchenko capitalised on a goalkeeping error to poke in the winner. Tom Lawrence and Gareth Bale struck early before 17-year-old Ethan Ampadu set up Aaron Ramsey for the third before the break. Connor Roberts volleyed their fourth after the restart, substitute Shaun Williams replying for the Irish. Bozhidar Kraev opened his international account from distance after three minutes, and though Miha Zajc responding with a header for the hosts, the 21-year-old Kraev earned the win after chasing down a long ball into the box. Norway made it ten wins from ten against Cyprus, captain Stefan Johansen playing chasing down Omar Elabdellaoui's long ball to smash in his side's first, before doubling the lead with a deliciously-struck free-kick just before the break. 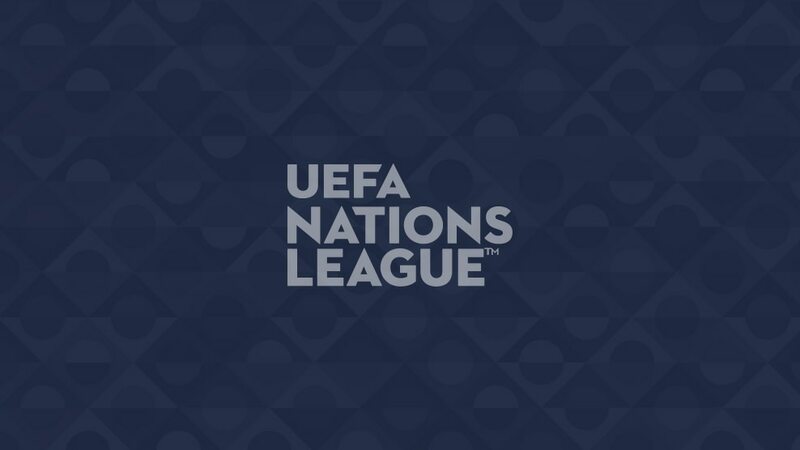 Giorgi Chakvetadze scored the first UEFA Nations League goal – a stunning 69th-minute drive – Vladimír Weiss' charges sealed victory five minutes later when Nenad Erić parried Valeri Kazaishvili's effort into his own net off Sergei Maliy. The hosts dominated possession, but rarely troubled Josep Gomes in the visitors' goal, and Koldo Alvarez's Andorra looked the more likely scorers in the closing minutes. Sandro Wolfinger cancelled out Marcos Pizzelli's classy opener, and Henrikh Mkhitaryan had a second-half penalty saved before Michele Polverino's dismissal set the stage for substitute Tigran Barseghyan's 76th-minute winner. Ivan Tričkovski broke the deadlock for the visitors on 19 minutes and Egzijan Alioski doubled their lead before the break, capitalising on a loose ball following a corner. The Macedonians are now unbeaten in eight games.